Last month the Supreme Court of Pakistan issued an arrest warrant for the former ambassador to the United States, Husain Haqqani, after he failed to appear in court for a hearing on “Memogate.” The “memo” in question had allegedly been sent by Haqqani to a high-ranking US official in May 2011 – days after the operation that killed Osama bin Laden in Abbottabad, Pakistan – exposing clashes between the civilian government then led by the Pakistan Peoples Party and the army. Fifteen years of war have turned Iraqi cities such as Ramadi, Fallujah, and Mosul into ruins. Iraq remains as divided as ever along sectarian lines, despite the deaths of more than 4,500 U.S. troops and untold numbers of Iraqis. U.S. troops remain in Iraq to help advise and assist Iraqi forces as they try to prevent ISIS from launching yet another insurgency. Meanwhile, Iran has flooded the country with thousands of proxy fighters, giving it a large say in what the government of Iraq does post-ISIS. This wasn’t the Iraq that was supposed to emerge when U.S. troops crossed the berm from Kuwait to Iraq in March 2003. Nor is this the Iraq that troops who trounced al Qaeda during the surge bled for. There are few tangible signs of success, and Iraq’s future is still unclear. China has transformed the Indo-Pacific region’s strategic landscape in just five years. If other powers do not step in to counter further challenges to the territorial and maritime status quo, the next five years could entrench China’s strategic advantages. Security dynamics are changing rapidly in the Indo-Pacific. The region is home not only to the world’s fastest-growing economies, but also to the fastest-increasing military expenditures and naval capabilities, the fiercest competition over natural resources, and the most dangerous strategic hot spots. One might even say that it holds the key to global security. The increasing use of the term “Indo-Pacific” – which refers to all countries bordering the Indian and Pacific oceans – rather than “Asia-Pacific,” underscores the maritime dimension of today’s tensions. Asia’s oceans have increasingly become an arena of competition for resources and influence. It now seems likely that future regional crises will be triggered and/or settled at sea. A suspected Chinse APT group has been spotted raiding a UK government contractor for military and other sensitive documents. APT15 is also known as Ke3chang, Mirage, Vixen Panda GREF and Playful Dragon – a group operating for several years from servers registered in China and with Chinese language infrastructure. NCC Group claimed at the weekend that it spotted the group stealing sensitive documents from one of its clients, a government contractor, back in May. It appeared to be using a blend of old and new tools: previous backdoor BS2005 now appearing alongside new versions RoyalCli and RoyalDNS. Chinese premier Li Keqiang recently delivered a remarkably revealing speech. Addressing the National People’s Congress for two full hours early in March, he stressed the county’s determination to rely on broad industrial policies as a means to development. The objective, to use Li’s words, is to “speed up work to build China into a leader in manufacturing.” Li doubtless wanted his audience and the world to hear his remarks as a challenge to Western economic power. Many no doubt did. What Li failed to note, and assuredly does not realize, is how his blueprint for progress, rather than ensure Chinese dominance, will instead keep that country indefinitely dependent on the West, doom it to repeat its already well-established pattern of wasteful overbuilding, and ensure that its economy will always remain just a bit behind the West technologically. For nearly sixty years since it opened in 1959, the Great Hall of the People has been the public focus of Chinese politics, a monumental granite block that extends 1,200 feet along the west side of Tiananmen Square. It is where the country’s leaders appear in public to display their power: a platform for state banquets, receptions of foreign dignitaries, and symbolic political meetings. It is their throne room, their sacred space. It is the outward manifestation of decisions made in other, darker realms. Wang Qishan has been described as cold, calculating and combative by his enemies. Just the sort of skill set his small, select circle of political allies are counting on, including his old comrade, the Chinese President Xi Jinping. At 69, Wang was forced to step down from the all-powerful seven-man Politburo Standing Committee in October because of his age during a reshuffle at the 19th National Congress of the Communist Party of China in Beijing. 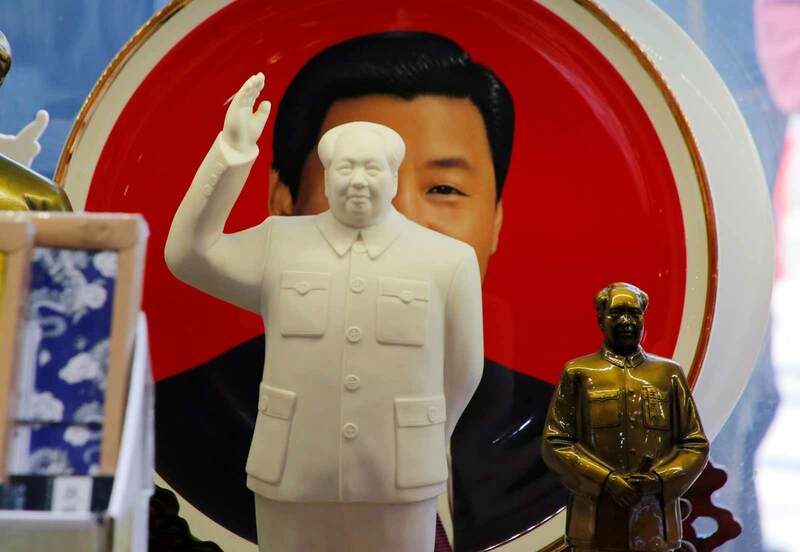 For the past five years, he had been feared and loathed as the anti-corruption tzar in President Xi’s centerpiece “clean up” campaign before he “retired”. But now, he is back after being elected to the National People’s Congress last month. 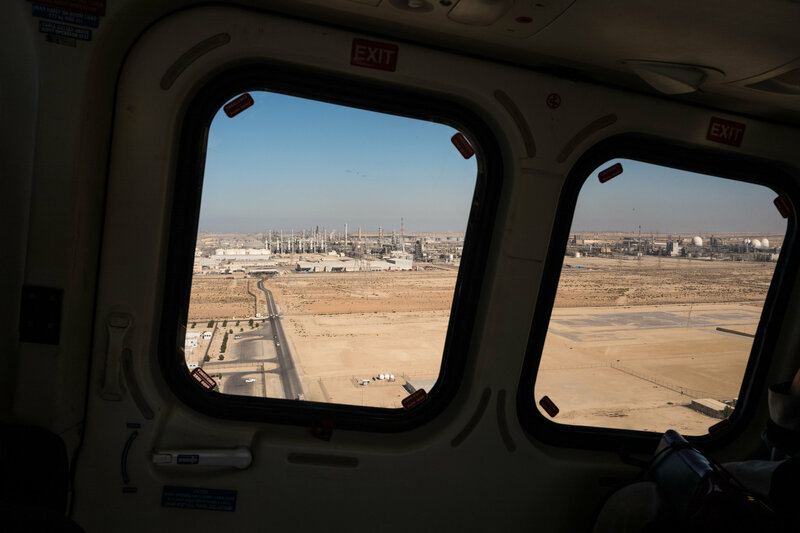 In August, a petrochemical company with a plant in Saudi Arabia was hit by a new kind of cyberassault. The attack was not designed to simply destroy data or shut down the plant, investigators believe. It was meant to sabotage the firm’s operations and trigger an explosion. The attack was a dangerous escalation in international hacking, as faceless enemies demonstrated both the drive and the ability to inflict serious physical damage. And United States government officials, their allies and cybersecurity researchers worry that the culprits could replicate it in other countries, since thousands of industrial plants all over the world rely on the same American-engineered computer systems that were compromised. 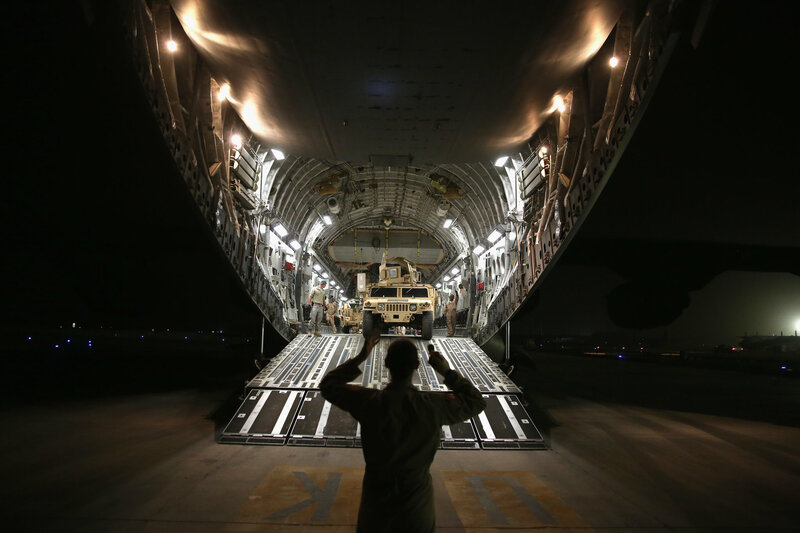 An Air Force cargo jet in 2016 at a base in the Persian Gulf where drones were launched against the Islamic State. With drone technology just one area open to advances in artificial intelligence, a task force will explore how the government can work better with tech leaders to develop its A.I. There is little doubt that the Defense Department needs help from Silicon Valley’s biggest companies as it pursues work on artificial intelligence. The question is whether the people who work at those companies are willing to cooperate. The first time I met Christopher Wylie, he didn’t yet have pink hair. That comes later. As does his mission to rewind time. To put the genie back in the bottle. By the time I met him in person, I’d already been talking to him on a daily basis for hours at a time. On the phone, he was clever, funny, bitchy, profound, intellectually ravenous, compelling. A master storyteller. A politicker. A data science nerd. Israeli forces on Sunday knocked out a tunnel in the Gaza Strip dug by Hamas militants to mount cross-border attacks, the military said. The tunnel had been cut off during the 2014 Gaza war and Hamas had tried to put it back into operation, a military spokesman said. It had been dug inside the Hamas-ruled enclave several hundred meters away from Israel’s border fence. The Israeli forces did not cross the border to render the tunnel inoperable but used a new technique, Lieutenant-Colonel Jonathan Conricus told reporters. “We did not use explosives. It (the tunnel) was filled with a certain material, with a certain compound,” Conricus said. The growing expectation that President Donald Trump is going to force out Lt. Gen. H.R. McMaster as national security adviser raises a quandary: would the Army take him back? 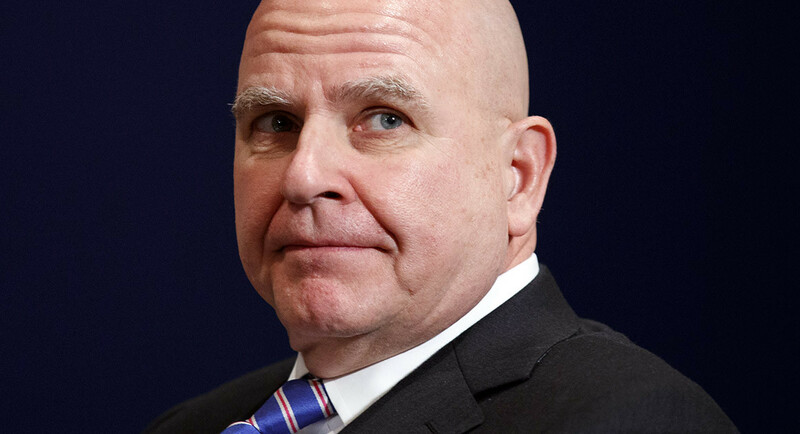 Like his precarious position in the White House over the past year, McMaster’s stormy relationship with the Army leadership is nearly legendary due to his questioning of orthodoxy and brusque manner. Now, the Pentagon is grappling with what to do with the military’s leading warrior-intellectual should he become the latest Trump aide to be replaced, according to multiple current and former officers and administration officials — a predicament that even McMaster himself hinted at on Friday, when he told a reporter that "everybody has got to leave the White House at some point." The Trump administration imposed new sanctions against Russia on Thursday, slapping punitive measures on 19 people and five entities over their alleged role in Moscow's interference in the 2016 election and other "destructive" cyberattacks. The sanctions mark the most significant move against Russia since President Trump took office more than a year ago. They arrived as Washington's closest ally, Britain, is locked in a diplomatic struggle with Moscow after accusing the Kremlin of using a nerve agent to poison a former Russian intelligence officer living in the United Kingdom.Trump also joined the leaders of the U.K., France and Germany on Thursday in issuing a statement that condemned the poisoning attack. Last night, the U.N. Panel of Experts published its latest report. There is sufficient material in it for several posts, but some of the most alarming facts in it have to do with North Korea’s assistance to Syria with its ballistic missiles and chemical weapons, so that’s where I’ll begin. 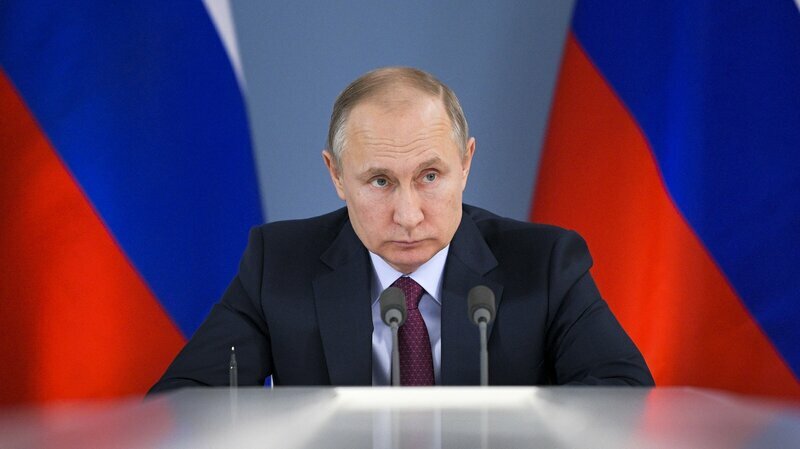 Vladimir Putin is not one to accept criticism from the West, even when his country stands accused of attempted murder using military-grade nerve agents. Russian responses to the accusations have been dismissive, even suggesting that British intelligence was really responsible for the attempted murder on 4 March of Sergei Skripal and his daughter Yulia in Salisbury, combined with knowing observations that their fate should be a warning to other traitors. A joint research project between the Department of Energy and a geographic analytics company is mapping just how far the repercussions could spread. 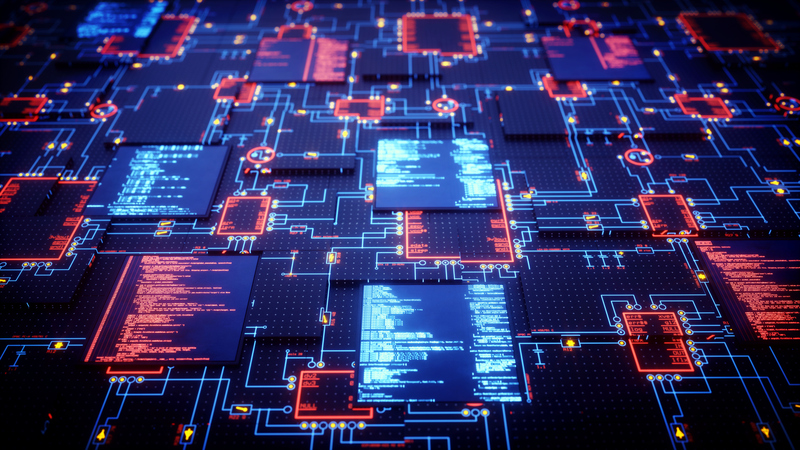 “On a scale of 1 to 10,” the threat of a cyber attack on U.S.critical infrastructure is “a 7 or an 8,” the Department of Homeland Security warned lawmakers last week. And indeed, someone has been probing the defenses of utilities, key manufacturers, and others. So what happens if hackers launch a network attack that, say, causes a rolling blackout in the Midwest? The Trump administration has accused Russia of a coordinated “multi-stage intrusion campaign” to hack into critical U.S. infrastructure networks and conduct “network reconnaissance” while attempting to delete evidence of their intrusions. Homeland Security officials say they have helped the affected companies remove the Russian hackers from their compromised networks, but the Russians keep trying to hack into these critical systems. Russian cyber operatives are attacking critical American infrastructure such as energy grids, nuclear facilities, aviation systems, and water processing plants, according to the Federal Bureau of Investigation (FBI) and Department of Homeland Security (DHS). The report details numerous attempts, since at least March of 2016, where Russian cyber operatives targeted government entities and multiple US critical infrastructure sectors. The Pentagon is working with industry to accelerate migration to cloud technology to enable faster decision making The Pentagon is working with industry to accelerate widespread migration to cloud technology to enable faster decision-making, AI implementation, rapid data organization and improved IT security, Pentagon leaders said. The multi-faceted initiative includes data consolidation, reducing the hardware footprint and efforts to connect satellite ground terminals more seamlessly with one another; the key concept, of course, is to increase access to otherwise disparate pools of information, share information quickly and give combat commanders more options on a faster time frame. The military depends on a constant flow of volunteers every year. According to 2017 Pentagon data, 71 percent of young Americans between 17 and 24 are ineligible to serve in the United States military. Put another way: Over 24 million of the 34 million people of that age group cannot join the armed forces—even if they wanted to. This is an alarming situation that threatens the country’s fundamental national security. If only 29 percent of the nation’s young adults are qualified to serve, and if this trend continues, it is inevitable that the U.S. military will suffer from a lack of manpower. A manpower shortage in the United States Armed Forces directly compromises national security. Combating insurgencies with conventional forces has long been regarded as being, to paraphrase T.E Lawrence’s colorful formulation, comparable to eating soup with a knife (Lawrence, 1922, 53). Indeed, the inutility of force with regards to combating a phenomenon that primarily exists in the minds of a target population has been noted by figures from General Rupert Smith to General David Petraeus, the latter articulating this principle as a central premise upon which he built his population centric theory of counterinsurgency in FM-3-24 (Petraeus, 2006, 60-100) (Smith, 2005, 40). Within the context of this argument, any effort to destroy an insurgent militarily by a policy of attrition or annihilation ignores the insurgents innate capacity to trade space for time, avoiding the strengths of a conventional force and eroding both its domestic will and its control over the target populace (over which the insurgent and counterinsurgent force are fighting) by policies of assassination, intimidation of the counterinsurgency’s local supporters and dispersed attacks on occupying troops. The ability of an insurgency, even one which has held territory for a significant period to revert to what T.X. Hammes dubs phase I of an insurgent strategy (whereby it resorts to asymmetrical warfare) is central to the argument regarding the inutility of an enemy-centric Clausewitzian approach to combating insurgencies (Hammes, 2006, 50). The first phase of the Synthetic Training Environment initiative replaces existing simulators for vehicles. The second phase aims to create — in just two years — something the Army’s never had before: an “immersive” virtual training environment for troops on foot. UPDATED Lockheed Wins Contract To Maintain 100+ Legacy Training Systems After years of toying with the technology, the Army is now racing to replace its clunky 1980s and ’90s-vintage training simulators with virtual reality, massive multiplayer networks and other innovations straight from the commercial gaming industry.